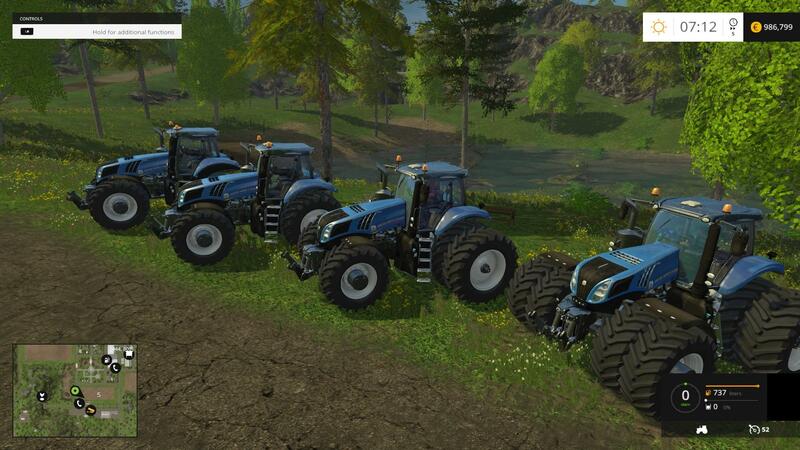 Here I have to share my 4 favourite T8’s in blue all with standard motor, fuel, gear ratio’s and braking settings. All have HDR body, interior and decal textures, Carbon Roofs and Darkened glass, All have tweaked body specular reflections toned down, Hi Hitch so these T8’s work with any trailer or attachment, Dyeable wheels, Over sized radius front wheels, wheel collisions, custom hubs, Tyre tracks & Particles, All have oversized fenders with full rotation, 1 24mb zip for all for machines. All are washable and ok for multiplayer, Cost 195000 to buy and have 195 daily operating cost’s.